› Featured › Destination of the Month: Bangkok! Bangkok is a heady mix of sounds, smells and sights. 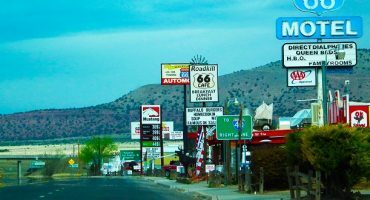 At first chaotic and overwhelming, the more time you spend in the city the more you fall in love with its colorful atmosphere, endless list of things to see and do, and friendly people. Thailand isn’t called the Land of Smiles for nothing! Many visitors to Thailand stop off in Bangkok for a night or two before hightailing it to one of the country’s stunning islands, such as Koh Tao, Koh Phi Phi or Ko Pha Ngan. But linger a few more days in the capital city of Thailand and you’ll be rewarded with a city which reveals itself layer by layer to be warm, exciting and exotic. Prices found on liligo.com on February 9, 2018. 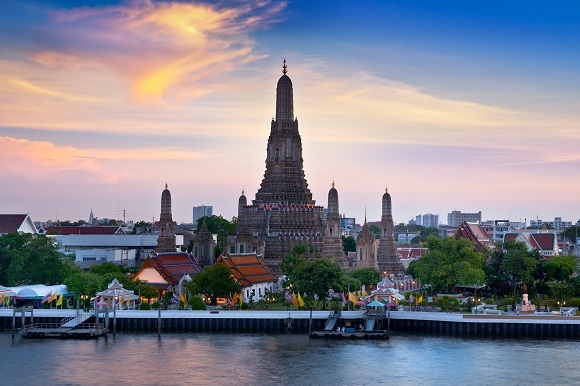 Best time to go: A great year-round destination, Bangkok is most popular from November to March, when cooler temperatures a less humid climate make walking around the city more appealing. 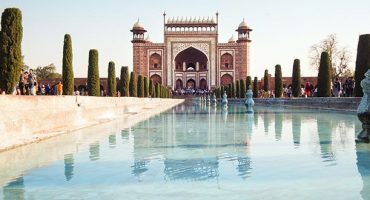 You can expect to see sunny days, less rainfall and – as a result – higher prices as tourists descend on the city. With average temperatures falling to just below 68 degrees in the evening between December and February, this is a great time to explore comfortably. 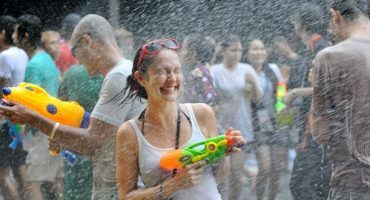 If you want to grab a bargain, head to Bangkok between May and October when the heat and a higher chance of rain mean fewer visitors and better deals! There’s no shortage of stunning temples in Bangkok, each beautifully decorated and a sacred place of worship. The Temple of the Emerald Buddha at Bangkok’s Grand Palace is one of the city’s most visited, whilst Wat Pho (The Temple of the Reclining Buddha) and Wat Arun (The Temple of Dawn) compete for the title of the most beautiful. Whatever you do, don’t visit Bangkok without seeing at least one! liligo.com travel tip: Make sure you’re dressed appropriately. This generally means no bare shoulders or knees, but we’d advise checking for further advice before you go! Thai cuisine is known for its fragrant, flavorsome dishes. 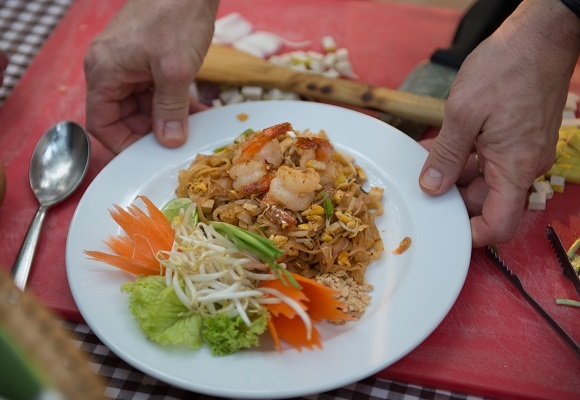 Learn how to cook your favorite Thai meals by taking a cooking class in Bangkok! Pad Thai, Thai green curry, mango sticky rice… these are just a selection of the dishes you could soon be showing off to your friends. Often, the class will include a tour of a local market to pick up your ingredients before heading back to use them up. Don’t go with a full stomach and set aside a morning or an afternoon for this must-do activity. Thailand is the place to go and find a bargain when it comes to shopping. Aside from its famous malls – MBK for great deals and Siam Paragon for a luxury shopping experience – Bangkok also boasts a number of awesome outdoor markets. Chatuchak Market operates Friday through Sunday and is a vibrant mix of produce from local vendors. It’s also one of the world’s largest weekend markets! 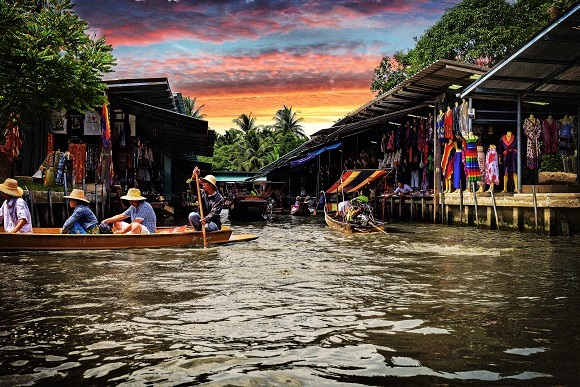 Alternatively, head to one of the city’s floating markets and find boats selling fruits, vegetables and street food. 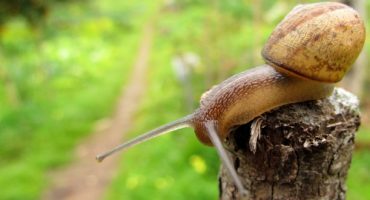 Slightly out of the city, they’re a unique experience that’s not to be missed. Bangkok’s nightlife can be whatever you want it to be: sophisticated bars and rooftop terraces are dotted around the city, whilst on ground level it’s vibrant, eclectic and never boring. Check out the rooftop bar at the Banyan Tree or the Sky Bar atop the Lebua at State Tower for breathtaking views and a luxurious setting. 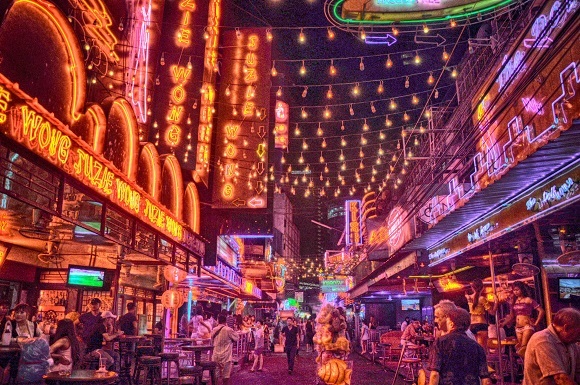 Head to Sukhumvit, an area popular with expats and tourists, to find bars, clubs and restaurants aplenty; or party on the Royal City Avenue (or RCA for short), where Bangkok locals go to dance until the early hours.